We had a wonderful week staying in this lovely cottage. It had everything we needed for a comfortable stay, and was so full of character that it was a pleasure to return to in the evening (and in fact some days we couldn’t bring ourselves to leave!). The location was so peaceful, surrounded by nature, and a constantly changing view of the surrounding hills. We loved watching the stars at night from the picture window in the bedroom. The gardens were lovely, with lots of relaxing places to sit and read, or just sit and listen to nature. Although it felt like we were in the middle of nowhere (which is exactly what we wanted), the nearest town is not far away and has plenty of shops to stock up on supplies, and restaurants too. Edoardo was a great host - very welcoming. He even gave us some delicious figs and tomatos from his garden and eggs from his chickens, which made us feel like we were living the good life. A great place to stay to get away from it all, and to slow down. What a wonderful stay we've had! It's a beautiful decorated house, with nice details: the pictures says it all.Lots of nice and different places in the garden to relax and in the house as well. We've had a warm welcome from the owner with home grown crops form the garden. We felt at home immediately! Perfect spot to explore the eastern part of the island. Which is stunning!We'd love to go back! 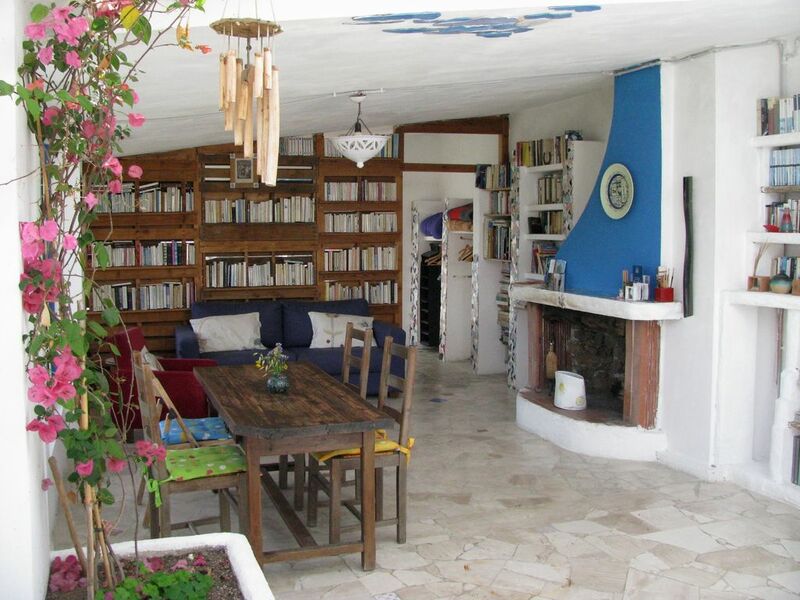 Une expérience à vivre : Maison et propriétaire atypique, ce lieu est un vrai paradis . Ce lieu permet un retour à la nature : calme, sérénité, citoyenneté (gestes écologiques...), grands espaces à découvrir, un lieu magique pour passer d’excellentes vacances en famille ou avec des amis. Edouardo Est toujours disponible et de bons conseils pour découvrir la côte est de la Sardaigne et partager ses bonnes adresses (restaurants, produits locaux...). Grand espaces extérieurs, barbecue, toit terrasse, piscine et comme voisins les vignes et les oliviers... convient parfaitement aux grands et petits avertis et qui ne souhaitent qu’une Chose... revenir au plus vite!!! Merci edouardo pour ces moments de bonheur ! Für Menschen, die sich vom Großstadtstress erholen wollen, ist es der ideale Ort. Wunderschön gelegen, absolute Ruhe (kein Radio und Fernseher), angenehmer Gastgeber und leckeres hauseigenes Olivenöl. Ein kleines Schmuckstück an dem man jeden Tag etwas neues entdeckt. Nette Vermieter. Wer eine etwas alternative Art des Urlaubs in einer ruhigen Gegend mit fantastischem Ausblick sucht ist hier richtig.